Magic takes many forms. The ancient Egyptians explained the night by suggesting that the goddess Nut swallowed the sun. The Vikings believed a rainbow was the gods' bridge to earth. These are magical, extraordinary tales. But there is another kind of magic, and it lies in the exhilaration of discovering the real answers to these questions. It is the magic of reality - science. 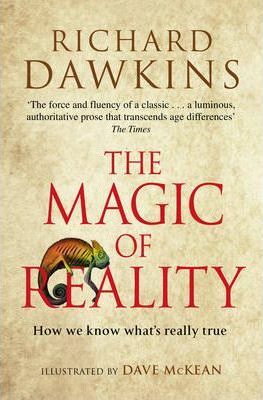 Packed with inspiring explanations of space, time and evolution, laced with humour and clever thought experiments, The Magic of Reality explores a stunningly wide range of natural phenomena. What is stuff made of? How old is the universe? What causes tsunamis? Who was the first man, or woman? This is a page-turning, inspirational detective story that not only mines all the sciences for its clues but primes the reader to think like a scientist too. Richard Dawkins elucidates the wonders of the natural world to all ages with his inimitable clarity and exuberance in a text that will enlighten and inform for generations to come. "Dawkins has a gift for making science enjoyable ... [He is] one of the greatest scientific writers/explainers of all time." Richard Dawkins has written a string of bestselling books, including the phenomenal The God Delusion. He is a fellow of the Royal Society and the Royal Society of Literature, and has won numerous awards. He was a professor at Oxford University until 2008 and he remains a fellow of New College.